CLOSEOUTS. Semi rigid construction with soft sided top the perfect, lightweight combination for maximizing carry on capacity. The North Face Thunder 22and rolling suitcase is rugged, thoughtfully organized and features an external top zip pocket for easy access when itand39s in the overhead bin. Available Colors: GRAPHITE GREYZINC GREY, TNF BLACK X RAY PRINTTNF BLACK, ASPHALT GREYLANTERN GREEN, BRUNETTE BROWN CATALOG PRINT. Your browser isn't supported for displaying eBay items. 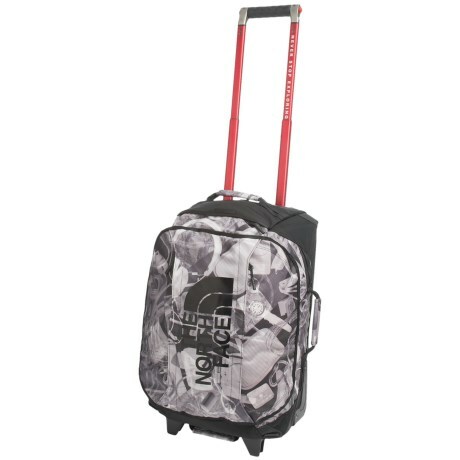 Go to eBay to search for The North Face Rolling Thunder 22 Rolling Suitcase. The North Face Rolling Thunder Bag 30"
The North Face Rolling Thunder Bag 36"